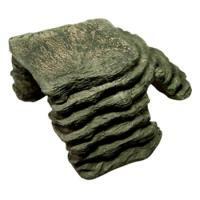 Brief Description: An innovative design that makes this filter ideal for odd shaped or shallow habitats like terrariums and other partial water set-ups. 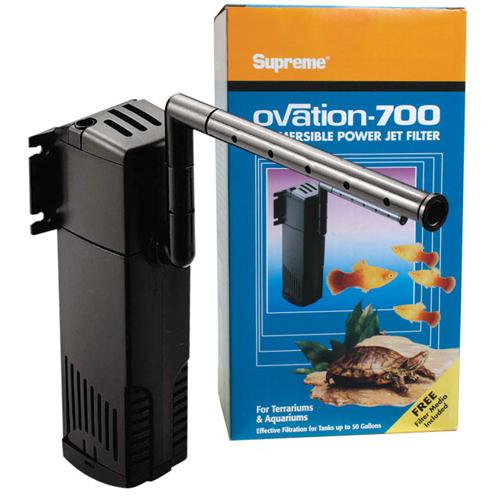 Notify me when "Ovation 700 Submersible Power Jet Filter" is re-stocked. Can be operated in the vertical or horizontal position, providing excellent mechanical and biological filtration as well as aeration. Includes a spray bar for more enhanced aeration. The air flow can be adjusted with the adjustable air regulator. 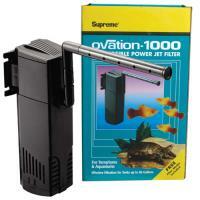 These little filters feature smooth, ultra quiet operation and dual filter elements of sponge and carbon. 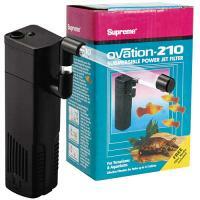 Dimensions: 2.0" x 2.5" x 8"
Maximum tank size: 50 gallons.